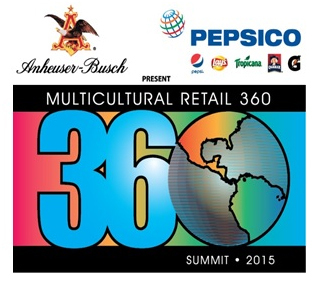 The Multicultural Retail 360 Summit is the premier multicultural marketing event for the retail industry taking place August 12-14 in Anaheim, California. The agenda is packed with cutting-edge sessions from companies like the NFL, Walgreens, Walmart and many more that will provide insights and examples of best practices for merchandising and marketing for Hispanic retailing and growing multicultural consumer segments. Focused sessions on Hispanic, African-American and Asian-American consumer segments will help you build your strategy and increase sales in 2016. Register today at MR360 and save $300 off your registration by using the promo code: NAHP15.